Recognize the three basic ceiling types and how they get their materials. Draw vaulted and curved ceilings. 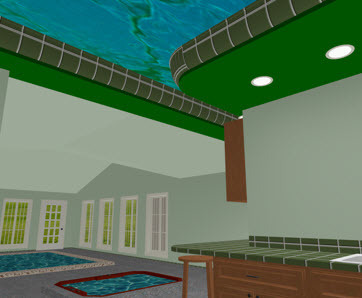 Use your imagination to create spectacular ceilings for your home design. This tutorial will make it possible to take your unique designs and turn them into an actual 2D drawings that you can view in stunning 3D! This tutorial is an entire section in the upcoming book, “Become a Chief Architect Expert (X-9 Edition).